It’s summertime and the livin’ is easy, but that’s no excuse to rest on your cultural laurels. 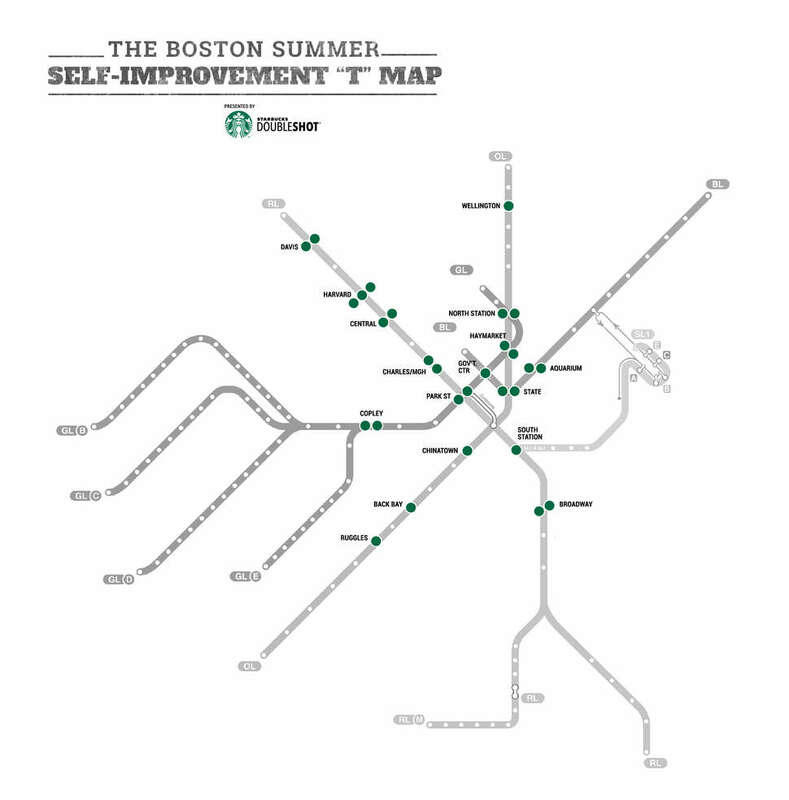 From fitness and food to art and film, we’ve got the clickable Boston transit map to self-improvement, with 30 summer happenings in and around the city that will give you plenty to talk about through fall -- possibly in a second language. Fiction Fridays If "read more" is on your summer bucket list, kick your weekends off at The Harvard Book Store for 15% off fiction, staff recommendations and a Top 100 list. Fiction Fridays Harvard Book Story (Harvard Square) If "read more" is on your summer bucket list, kick your weekends off at The Harvard Book Store for 15% off fiction, staff recommendations and a Top 100 list. Boston JerkFest The third annual Boston JerkFest takes you to the Caribbean via Boston with authentic food and drink, live reggae, steel band music, a cooking competition, and specialty foods, arts, and crafts. 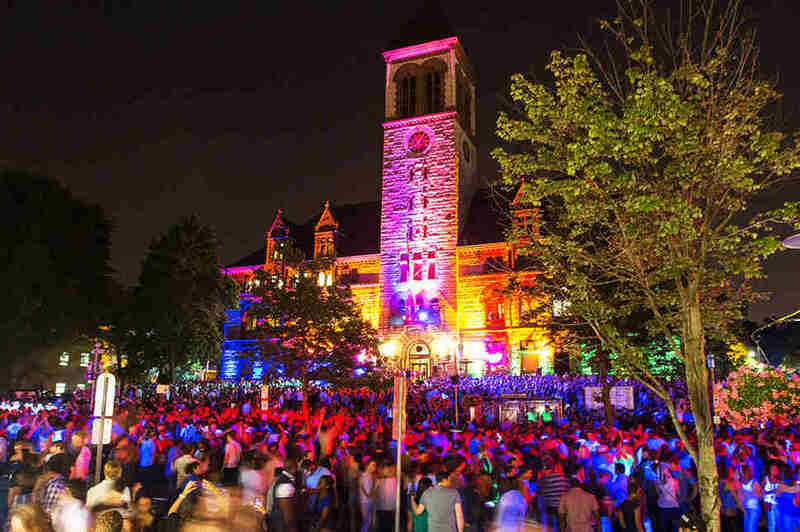 Boston JerkFest Benjamin Franklin Institute of Technology The third annual Boston JerkFest takes you to the Caribbean via Boston with authentic food and drink, live reggae, steel band music, a cooking competition, and specialty foods, arts, and crafts. Chinatown Main Street Festival Experience the best of Chinatown at this day-long carnival. While you ponder how many dumplings you’ll eat, catch shows like the Lion Dances, as well as martial arts demonstrations, and traditional Chinese festival games. Chinatown Main Street Festival Chinatown Experience the best of Chinatown at this day-long carnival. While you ponder how many dumplings you’ll eat, catch shows like the Lion Dances, as well as martial arts demonstrations, and traditional Chinese festival games. La Bohème Community Outreach Performance True story: you can see the entire production of Puccini’s La Bohème FOR FREE…next to the ocean, thanks to the Friends of Christopher Columbus Park. Seriously. Net some noshes from your favorite North End eatery, and then grab some grass on the lawn. La Bohème Community Outreach Performance Christopher Columbus Waterfront Park True story: you can see the entire production of Puccini’s La Bohème FOR FREE…next to the ocean, thanks to the Friends of Christopher Columbus Park. Seriously. Net some noshes from your favorite North End eatery, and then grab some grass on the lawn. “After Hours” BBQ Get a side of history with your barbecue: Boston Harbor Cruises throws weekly barbecue bashes next to Fort Warren on scenic Georges Island. Board the ferry at Long Wharf (6:30pm) and the BHC crew will transport you directly to the buffet table, loaded with spice rubbed chicken, burgers, dogs, and fire-toasted s’mores. 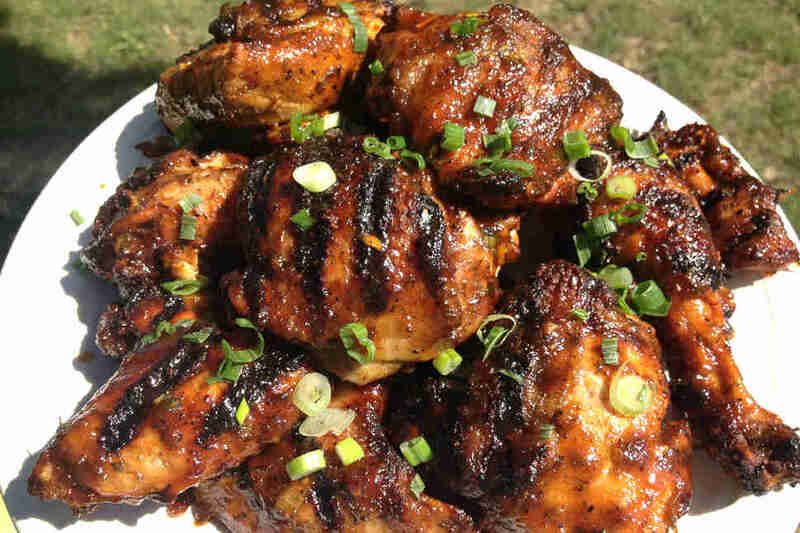 “After Hours” BBQ Georges Island Get a side of history with your barbecue: Boston Harbor Cruises throws weekly barbecue bashes next to Fort Warren on scenic Georges Island. Board the ferry at Long Wharf (6:30pm) and the BHC crew will transport you directly to the buffet table, loaded with spice rubbed chicken, burgers, dogs, and fire-toasted s’mores. Harborwalk Sounds, featuring Mad Satta In conjunction with Free Thursday Nights, the ICA hosts the Harborwalk Sounds music series on their ultra-cool seaside deck. Mad Satta will take the stage with their original neo-jazz sounds and funky Amy Winehouse and Curtis Mayfield covers. Harborwalk Sounds, featuring Mad Satta ICA, Seaport District In conjunction with Free Thursday Nights, the ICA hosts the Harborwalk Sounds music series on their ultra-cool seaside deck. Mad Satta will take the stage with their original neo-jazz sounds and funky Amy Winehouse and Curtis Mayfield covers. Speakeasy Science Cross “drinking beer with an astronaut” off your bucket list during Speakeasy Science, a casual and informative evening of presentations from a bona fide astronaut and a member of the International Space Station research team, followed by some Q&A. Speakeasy Science Bell In Hand Tavern Cross “drinking beer with an astronaut” off your bucket list during Speakeasy Science, a casual and informative evening of presentations from a bona fide astronaut and a member of the International Space Station research team, followed by some Q&A. Taste of Haymarket Historic New England leads a behind-the-scenes tour of the market as it opens for the day (8:30am-10:30am). Learn how this 185-year-old gem went from a modest gathering of farmers to a bustling open-air produce store, and sample of fruits, veggies, cheese, and pizza. Taste of Haymarket Haymarket Historic New England leads a behind-the-scenes tour of the market as it opens for the day (8:30am-10:30am). Learn how this 185-year-old gem went from a modest gathering of farmers to a bustling open-air produce store, and sample of fruits, veggies, cheese, and pizza. EarthFest Save the planet and rock out to mega jams at EarthFest, the yearly tribute to the environment, AND the largest free radio station concert in Boston. Guster, New Politics, Atlas Genius, and Alex Preston provide the soundtrack while you check out educational exhibits on various environmental issues. EarthFest Boston Common Save the planet and rock out to mega jams at EarthFest, the yearly tribute to the environment, AND the largest free radio station concert in Boston. Guster, New Politics, Atlas Genius, and Alex Preston provide the soundtrack while you check out educational exhibits on various environmental issues. Shakespeare on the Common: King Lear The Commonwealth Shakespeare Company presents King Lear at the Parkman Bandstand. The 20th season production stars Will Lyman (narrator of PBS’ Frontline) as the aging king in the Bard of Avon’s tragic opus. Bring some snacks for the show, and, ummm, maybe your Cliff’s Notes. Shakespeare on the Common: King Lear Boston Common The Commonwealth Shakespeare Company presents King Lear at the Parkman Bandstand. The 20th season production stars Will Lyman (narrator of PBS’ Frontline) as the aging king in the Bard of Avon’s tragic opus. Bring some snacks for the show, and, ummm, maybe your Cliff’s Notes. Revere Beach National Sand Sculpting Festival What can a person do with exactly 10 tons of sand in an 18’x18’ square? Find out during the 12th annual Revere Beach National Sand Sculpting Festival. More than 20 international grainy gurus contend for the Master title as they transform the shoreline with incredible creations. Food trucks, live entertainment, exhibit booths, a community village, and fireworks round out this one-of-a-kind weekend. Revere Beach National Sand Sculpting Festival Revere Beach What can a person do with exactly 10 tons of sand in an 18’x18’ square? 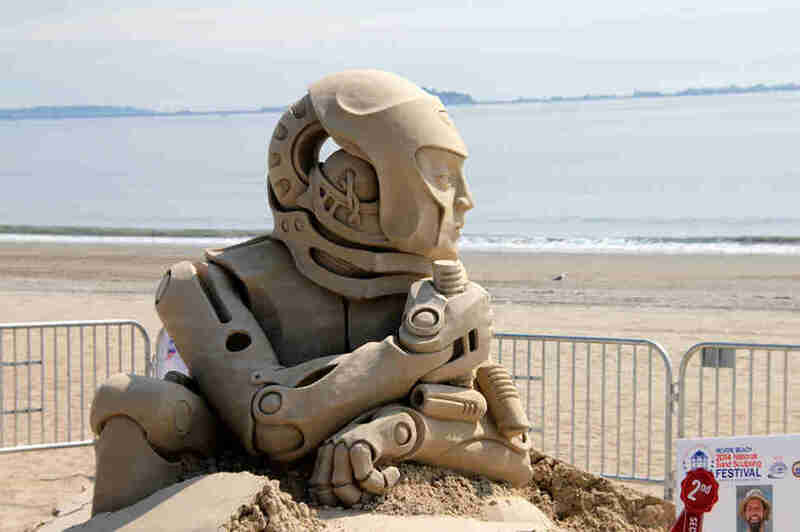 Find out during the 12th annual Revere Beach National Sand Sculpting Festival. More than 20 international grainy gurus contend for the Master title as they transform the shoreline with incredible creations. Food trucks, live entertainment, exhibit booths, a community village, and fireworks round out this one-of-a-kind weekend. Summer Arts Weekend The Boston Globe, WGBH, and Citizens Bank proudly sponsor Summer Arts Weekend, a city-wide celebration of epic proportions. Renowned musicians like Emmylou Harris, Aaron Neville, and the Dirty Dozen Brass Band will join a full spectrum of local and national talent in Copley Square for two days of free concerts. So there’s that. There will also be new arts, food, and cultural programs throughout the landmark event. Summer Arts Weekend Copley Plaza The Boston Globe, WGBH, and Citizens Bank proudly sponsor Summer Arts Weekend, a city-wide celebration of epic proportions. Renowned musicians like Emmylou Harris, Aaron Neville, and the Dirty Dozen Brass Band will join a full spectrum of local and national talent in Copley Square for two days of free concerts. So there’s that. There will also be new arts, food, and cultural programs throughout the landmark event. Borromeo String Quartet 25th Anniversary Concert Series To commemorate their 25th anniversary and ongoing collaboration with ISG, the award-winning Borromeo String Quartet will present a classical music program that consists of C-sharp Minor Fugue (Bach), String Quartet No. 12 (Shostakovich), and String Quartet No. 14, Op. 131 (Beethoven)…if you want to keep track of the set list. Borromeo String Quartet 25th Anniversary Concert Series Isabella Stuart Gardner Museum To commemorate their 25th anniversary and ongoing collaboration with ISG, the award-winning Borromeo String Quartet will present a classical music program that consists of C-sharp Minor Fugue (Bach), String Quartet No. 12 (Shostakovich), and String Quartet No. 14, Op. 131 (Beethoven)…if you want to keep track of the set list. Cultural Survival Bazaar This exhibition of Native American arts and culture features well-known performers (Sidy Maiga, AfriManding), storytelling sessions, and international artists such as wire sculptor Bernard Domingo, who will have a rare opportunity to sell their work directly to the public. Cultural Survival Bazaar The Plaza -- Harvard University Science Center This exhibition of Native American arts and culture features well-known performers (Sidy Maiga, AfriManding), storytelling sessions, and international artists such as wire sculptor Bernard Domingo, who will have a rare opportunity to sell their work directly to the public. 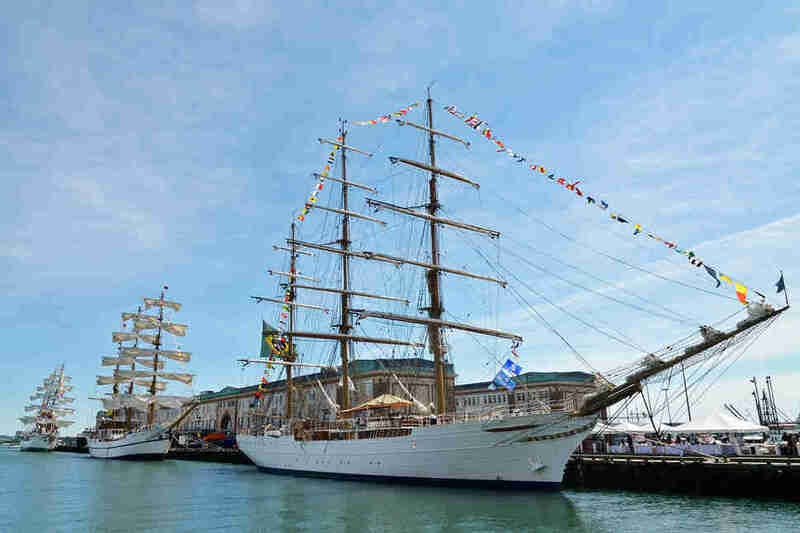 The Boston Seafood Festival Support a sustainable fishing industry AND enjoy the fruits of the sea. Win-win. 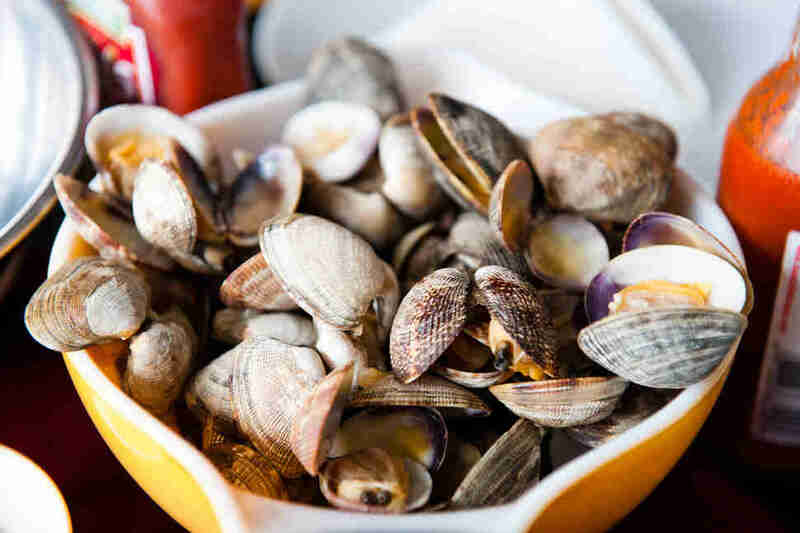 This jam-packed event raises awareness about New England fishing through seminars and demonstrations, and then turns up the fun with an oyster shucking battle, an all-day lobster bake, and fresh-catch treats from regional chefs. All proceeds support future festivals and the ongoing efforts of The Boston Fisheries Foundation. The Boston Seafood Festival Boston Fish Pier, Seaport District Support a sustainable fishing industry AND enjoy the fruits of the sea. Win-win. 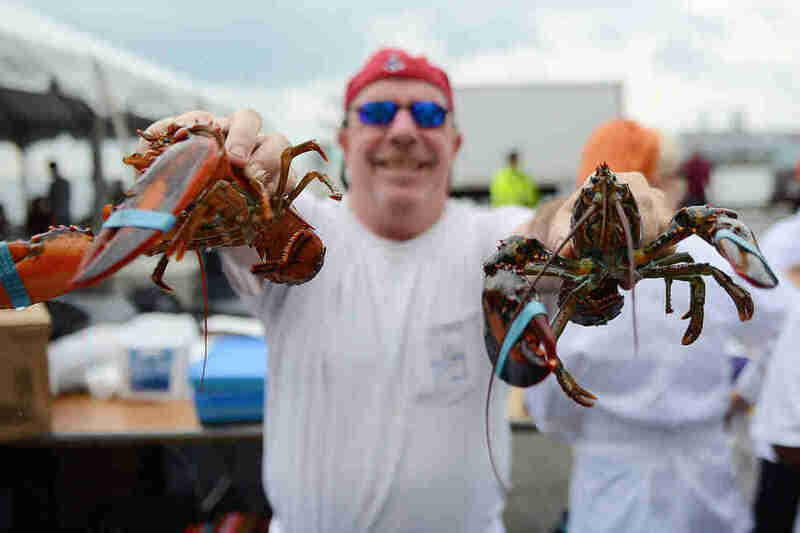 This jam-packed event raises awareness about New England fishing through seminars and demonstrations, and then turns up the fun with an oyster shucking battle, an all-day lobster bake, and fresh-catch treats from regional chefs. All proceeds support future festivals and the ongoing efforts of The Boston Fisheries Foundation. Art and Architecture Tour of Boston Public Library The BPL is not only a fully functioning local library, but also a National Historic Landmark, and an architectural icon deeply seated in Boston’s history. Learn more about the old (McKim Building) and the new (Johnson Building), and view significant works by painters Daniel Chester French and John Singer Sargent. Art and Architecture Tour of Boston Public Library Copley Square The BPL is not only a fully functioning local library, but also a National Historic Landmark, and an architectural icon deeply seated in Boston’s history. Learn more about the old (McKim Building) and the new (Johnson Building), and view significant works by painters Daniel Chester French and John Singer Sargent. Fisherman’s Feast If you haven’t had enough seafood yet this summer, check out the 105th Annual Fisherman’s Feast. 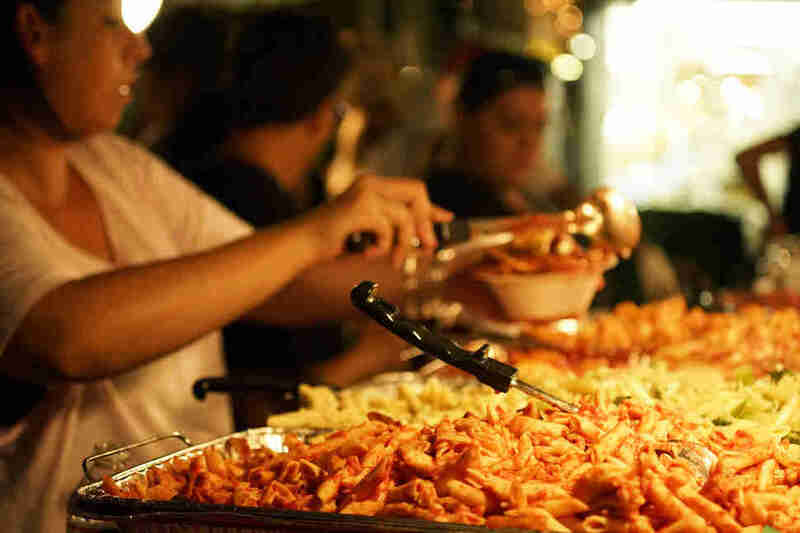 Since 1910, the North End has brought the city together with mountains of food (fried calamari, Italian sausages), live music, games, and street parades in honor of Madonna del Soccorso (Our Lady of Help). Be sure to catch “Flight of the Angel,” the festival topper of all festival toppers, on Sunday night. Fisherman’s Feast North End If you haven’t had enough seafood yet this summer, check out the 105th Annual Fisherman’s Feast. 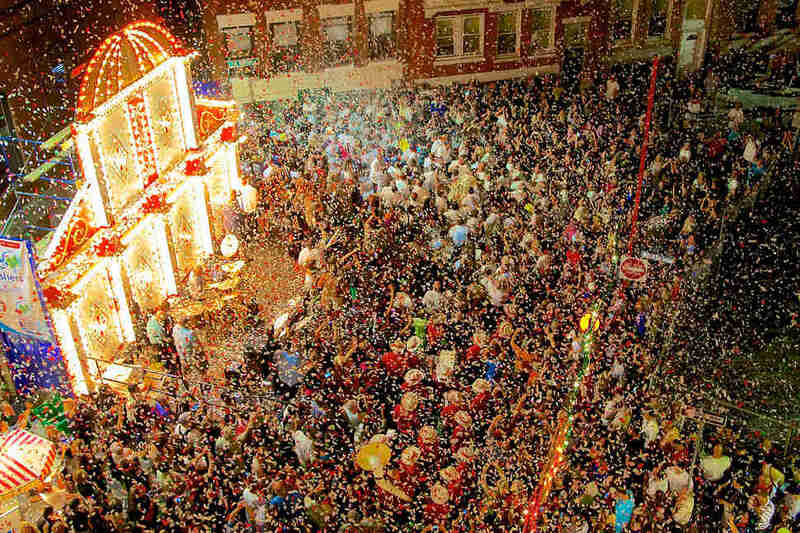 Since 1910, the North End has brought the city together with mountains of food (fried calamari, Italian sausages), live music, games, and street parades in honor of Madonna del Soccorso (Our Lady of Help). Be sure to catch “Flight of the Angel,” the festival topper of all festival toppers, on Sunday night. 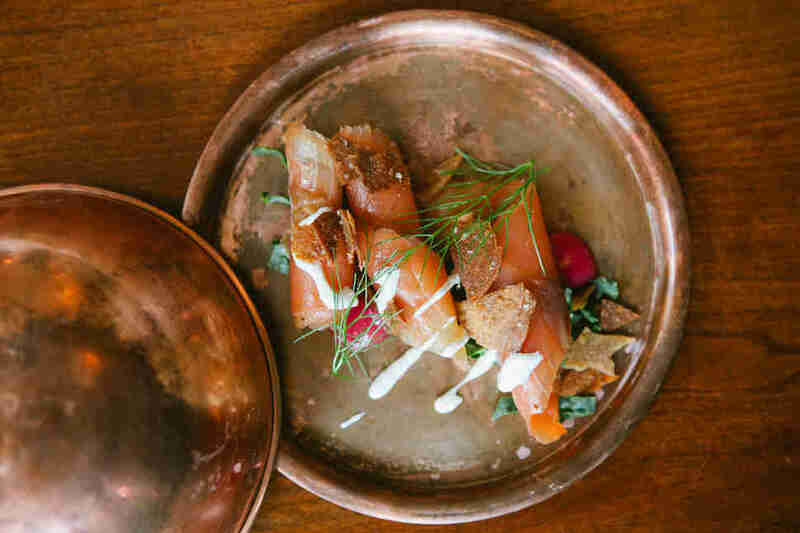 Dine Out Boston Formerly known as Restaurant Week, the retooled Dine Out Boston is actually two weeks of special tasting menus, at local culinary hotspots in August. New pricing guides enable diners to select between lunches ($15-$25) and dinners ($28-$38), as well as multiple coursing options. Seats will go fast, so reserve spots early at your favorite restaurants. Dine Out Boston (Various Locations) Formerly known as Restaurant Week, the retooled Dine Out Boston is actually two weeks of special tasting menus, at local culinary hotspots in August. New pricing guides enable diners to select between lunches ($15-$25) and dinners ($28-$38), as well as multiple coursing options. Seats will go fast, so reserve spots early at your favorite restaurants. Drums Along the Charles The Boston Landmarks Orchestra puts rhythmic thunder in the sky for an evening of music and dance on the Esplanade. In addition to the world premiere of The Swordfishers by Donald Krishnaswami, Drums Along the Charles includes Gayane: Sabre Dance, Glass’ Concerto Fantasy for Two Timpanists, and Rahmaninov’s Symphonic Dances, Op. 45. As a bonus, Conductor Christopher Wilkins welcomes timpani soloists Jeffrey Fisher (Boston Ballet Orchestra) and Robert Shulz (Boston Modern Orchestra Project). Drums Along the Charles Hatch Shell The Boston Landmarks Orchestra puts rhythmic thunder in the sky for an evening of music and dance on the Esplanade. In addition to the world premiere of The Swordfishers by Donald Krishnaswami, Drums Along the Charles includes Gayane: Sabre Dance, Glass’ Concerto Fantasy for Two Timpanists, and Rahmaninov’s Symphonic Dances, Op. 45. As a bonus, Conductor Christopher Wilkins welcomes timpani soloists Jeffrey Fisher (Boston Ballet Orchestra) and Robert Shulz (Boston Modern Orchestra Project). Boston GreenFest The region’s largest multicultural environmental music festival celebrates green living through three days of educational forums, activities, and healthy foods. Take in hallmark programs like the Boston Green Film Fest, EcoFashion and ecoArt, and the Electric Car Showcase. Hang out in the Smoothie or Wine & Beer Garden, and then score gratifying goodies in the farmer’s market. Boston GreenFest City Hall Plaza The region’s largest multicultural environmental music festival celebrates green living through three days of educational forums, activities, and healthy foods. Take in hallmark programs like the Boston Green Film Fest, EcoFashion and ecoArt, and the Electric Car Showcase. 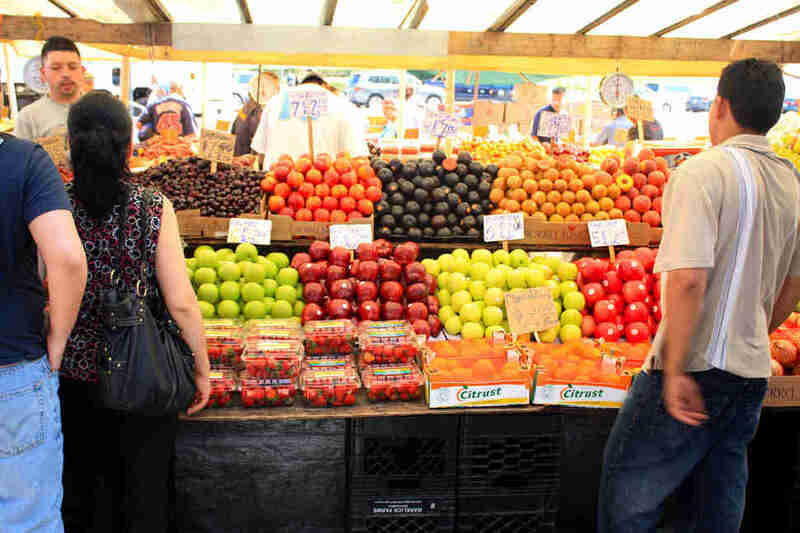 Hang out in the Smoothie or Wine & Beer Garden, and then score gratifying goodies in the farmer’s market. A Midsummer Night’s Dream The Boston Landmarks Orchestra is back with Mendelsohn’s A Midsummer Night’s Dream, Op. 61. This version of the classic rom-com, in conjunction with Commonwealth Shakespeare Company, boasts stage and musical stars of Boston and the choreography of Yo-el Cassell. Fun fact: Mendelssohn composed The Overture when he was 17, and finished the remaining incidental music 16 years later. What have you done? A Midsummer Night’s Dream Hatch Shell The Boston Landmarks Orchestra is back with Mendelsohn’s A Midsummer Night’s Dream, Op. 61. This version of the classic rom-com, in conjunction with Commonwealth Shakespeare Company, boasts stage and musical stars of Boston and the choreography of Yo-el Cassell. Fun fact: Mendelssohn composed The Overture when he was 17, and finished the remaining incidental music 16 years later. What have you done? Massachusetts Independent Film Festival Creative entries by New England auteurs as well as flicks from exotic locales (e.g. Australia, Iran) will compete for top honors like Best Feature, Best Short, and Best Doc. Along with screenings, Somerville Theatre and The Brattle will also host panel discussions and parties where you can meet the filmmakers. Massachusetts Independent Film Festival Somerville Theatre and Brattle Theater Creative entries by New England auteurs as well as flicks from exotic locales (e.g. Australia, Iran) will compete for top honors like Best Feature, Best Short, and Best Doc. Along with screenings, Somerville Theatre and The Brattle will also host panel discussions and parties where you can meet the filmmakers. ähts: The Boston Arts Festival Soak up the sun while you stroll through over 50 juried artists’ booths, watch glass-blowing demonstrations, and paint something yourself (if you’re ähtsy) on the public mural. Other festival highlights include 10+ live bands, a PBS radio storytelling program, poetry recitals, and fireworks over the water. ähts: The Boston Arts Festival Christopher Columbus Park Soak up the sun while you stroll through over 50 juried artists’ booths, watch glass-blowing demonstrations, and paint something yourself (if you’re ähtsy) on the public mural. Other festival highlights include 10+ live bands, a PBS radio storytelling program, poetry recitals, and fireworks over the water. St. Anthony’s Feast Italian street foods (e.g. arancini and zeppole) are the main attractions, and there are 100+ pushcarts of tastiness lining the lanes. Pizzeria Regina’s Open Air Piazza (aka beer tent), Filippo Berio tastings, and Fast Freddy’s “15 Seconds of Fame” contest totally seal the deal. St. Anthony’s Feast North End Italian street foods (e.g. arancini and zeppole) are the main attractions, and there are 100+ pushcarts of tastiness lining the lanes. Pizzeria Regina’s Open Air Piazza (aka beer tent), Filippo Berio tastings, and Fast Freddy’s “15 Seconds of Fame” contest totally seal the deal. Boston Calling Block Party Unwind with a beverage and watch some of Boston’s best bands (e.g. Tigerman Woah) rock the Rose Kennedy Greenway at Boston’s Biggest Block Party. Check the Boston Calling Block Party Facebook page for the evening’s performers. Boston Calling Block Party Dewey Square Unwind with a beverage and watch some of Boston’s best bands (e.g. Tigerman Woah) rock the Rose Kennedy Greenway at Boston’s Biggest Block Party. Check the Boston Calling Block Party Facebook page for the evening’s performers. Berklee Summer in the City presents the Alexander Anderson Band From classic standards to genre mashups, the jazz-fusion sounds of 21-year-old piano prodigy Alexander Anderson define the modern jam session. Currently a student at Berklee, Alexander has been mentored by Herbie Hancock, Chick Corea, and other living legends, and has performed with Esperanza Spaulding, Lenny Stallworth, and Tia Fuller. Berklee Summer in the City presents the Alexander Anderson Band Brewer Plaza on Boston Common From classic standards to genre mashups, the jazz-fusion sounds of 21-year-old piano prodigy Alexander Anderson define the modern jam session. Currently a student at Berklee, Alexander has been mentored by Herbie Hancock, Chick Corea, and other living legends, and has performed with Esperanza Spaulding, Lenny Stallworth, and Tia Fuller.